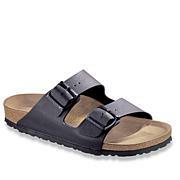 I have Birkenstock sandals in just about every color that they make.I absolutely love the comfort and support they offer. I am a teacher in the NYC area and usually wear them from March through October. They run a lil large but as you wear them they mold to the contours of your feet. 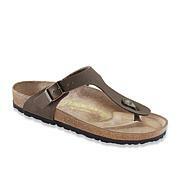 If you want a really comfy sandal for the summer this is it! if you cant decide on a color by all means (flex pay) buy more than one. These are light weight and flexible on my foot. Fit is perfect for a US Size 9. Love the pink. Love these sandals. So cute and comfy! 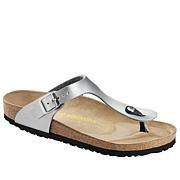 I absolutely love my new Birkenstock Im a pink lover these are sooo cute and comfortable. I wasnt sure on the sizing Im a 6.5 so I went by the 6/6.5 size on the website that European size on box was 37 and the fit perfect! I love the so much that I got carried away and purchased 4 more pair:))) you will not be disappointed with your purchase.